I bought Sleeping Dogs 72 hours after moving to Hong Kong, thinking I'd explore the city digitally at the same time as encountering it with my own eyes. It didn't happen the way I planned. Real life crowded the game out and I shelved the idea. But with Sleeping Dogs: The Definitive Edition launching recently and the release schedule finally cooling off, I thought it was time to revisit and see how the game measured up to reality. So how accurate is the Hong Kong we get in Sleeping Dogs? Extremely accurate, it turns out, and at the same time, not accurate at all. Sleeping Dogs provides a schizophrenic vision of Hong Kong. It's recognizable at street level, but falls apart the moment the player calls up the map or looks out to sea. Its outdoor areas feel squeezed while its indoor environments expand to ludicrous dimensions. The city is strange, wrong, a fiction - but it's still undeniably Hong Kong. In the end, that's all that matters. Sleeping Dogs feels most authentic when you're walking down the street. The city looks and sounds like it should. Red taxis and green-roofed minibuses roar by. Neon and billboards blaze on the buildings overhead. Pedestrians converse in Cantonese and, in a particularly deft touch, the crosswalk lights make the correct ClickClickClickClickClick noise. Stroll into a night market and you'll hear hawkers selling their goods. Shen's first tiny apartment embodies the old-style Hong Kong public housing studios. There are enough landmark clones to inspire comparison videos and location hunting. Once the map opened up, I spent hours cruising the city, trying to find out if my favorite buildings made the cut. The Aberdeen Promenade is there, as is the gorgeous neon monstrosity of Jumbo Floating Restaurant. Skyline markers like Bank of China Tower and the HSBC building have close-enough cousins in the Central district. Travel uphill and you'll find the nightclubs of Soho, Lan Kwai Fong, and the Central-Mid-Levels Escalator. A few colonial structures like the old Central Police Station and Legislative Council Building are roughly where they should be. There aren't enough people there, but that's forgivable - a game engine couldn't handle Hong Kong crowds today, much less in 2012. And yes, the city really does have an obscene number of supercars. But pulling up a map breaks the illusion. 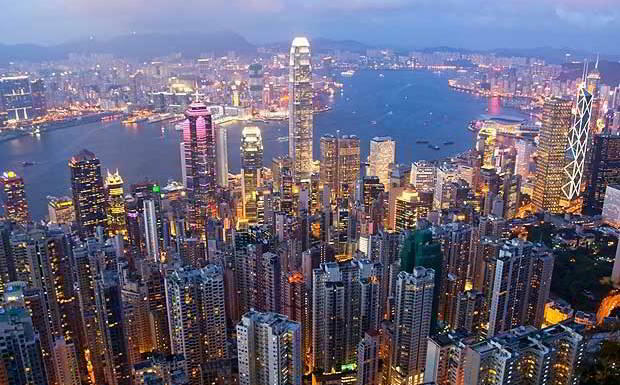 Hong Kong's known for being the most densely-populated city on Earth, but Sleeping Dogs cranks it to eleven. The game only depicts Hong Kong Island, excluding Kowloon, the New Territories, and all but one island - meaning the playable area covers about 7% of actual Hong Kong. Carving off territory was probably a wise way to limit the scope, but to anyone who's visited or lived in Hong Kong, the city feels incomplete. Driving around the city gives me geographical phantom limb tingles, especially since Kowloon is the traditional Triad stronghold. But even Hong Kong Island feels squeezed, since United Front boiled the city down to four districts - Central, North Point, Aberdeen and Kennedy Town - amalgamating them with districts they left out. The Frankenstein remodeling feels most apparent in North Point, which has to play understudy to Kowloon and Wanchai as well as being itself, though each district still hits the right tone and gives decent variety. Perhaps it was unrealistic to expect United Front to model the entire city, but I admit a small amount of disappointment that everything appears smaller than it should. This size constraint gets problematic when it comes to landmarks. United Front noticeably minimized many locations to fit in the game. Far Cry 4 pulled a similar terrain-shrinking trick for Kyrat, but Ubisoft managed to retain an illusion of scale. By contrast, Sleeping Dogs turns The Peak - an overlook that soars above the Central's skyscrapers - into a glorified hill. A shrunken version of the longest covered escalator system in the world, which should be a half-mile long, fails to impress. United Front omitted the MTR (subway system) entirely, and while eagle-eyed players can find a Star Ferry, there's no way to ride it across Victoria Harbor. Happy Valley's famous racetrack? Nowhere to be seen.